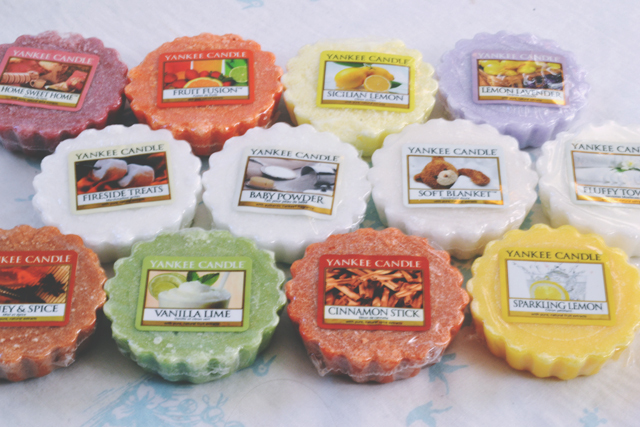 I love Yankee Candle wax tarts. Ever since Alyssia bought me some as my Secret Santa, I've been a little obsessed. They smell so much stronger than the candles and they're so cheap! Ok, they don't last anywhere near as long but the price definitely means you can buy a whole stack of them for the same amount as one candle! I find a lot of the fragrances don't smell exactly like the one they're inspired by. This is different. It smells identical to Johnson & Johnson baby powder. 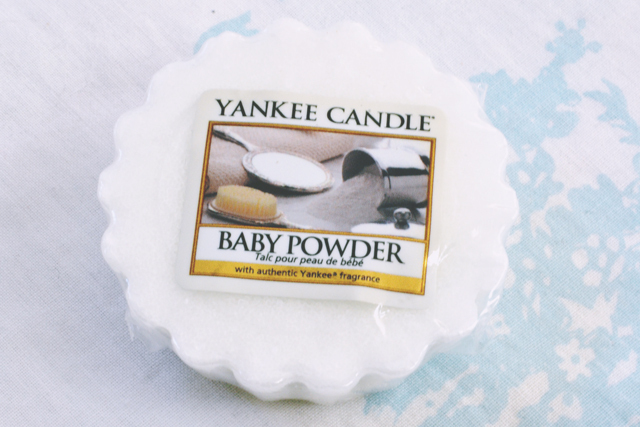 It's such a lovely, clean, comforting scent, like being wrapped up in a wondeful snuggly blanket! The scent throws into a couple of rooms and it lasts for about 5 hours or so. I didn't originally pick this out but I needed to buy one more tart in order to use my card. What a shame! I know summer is a little way off yet, but I thought it would be nice to choose a more fruity scent than my winter spices. It has a really strong scent of citrus fruits: Grapefruit and lime seem to be the most prominent notes. Although it's a lovely smell, it does sometimes come off a little bleachy. Lemon is one of those scents that just screams summer for me, so it felt right to try this with the lighter evenings and warmer weather. At first I thought it was a dud tart as I couldn't smell anything and then suddenly, BAM! The fragrance hit me. 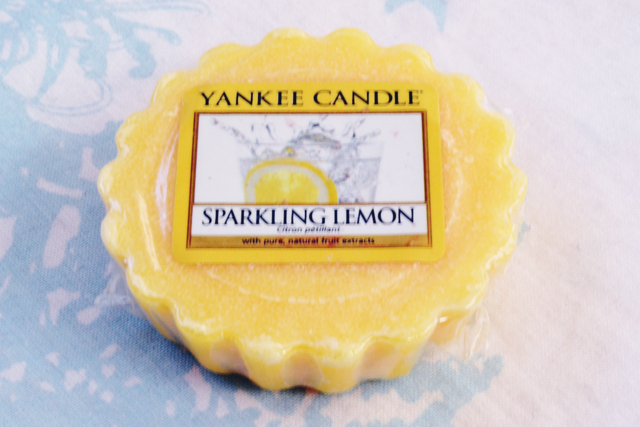 It's a lovely, uplifting fragrance with hints of lime and bergamot which gives it that lemonade hint. mmm they sound amazing! I really want to try these out, I usually just merrily sprtiz room spray around with gay abandon but this seems a much more effective way to go about getting my home smelling good.That lemon one sounds right up my street. They smell amazing and they're a lot less hassle than spraying all the time! What would you say is the difference between sicilian lemon and sparkling lemon? I've never actually tried the yankee candles but they do have the most interesting flavours. I really recommend them! The wax tarts are great because they're only £1.25, although I'm not sure how much they are in Belgium. This is funny to me as I wrote a post on wax tarts a week or two ago as well, so it's good to see someone else loves them as well! 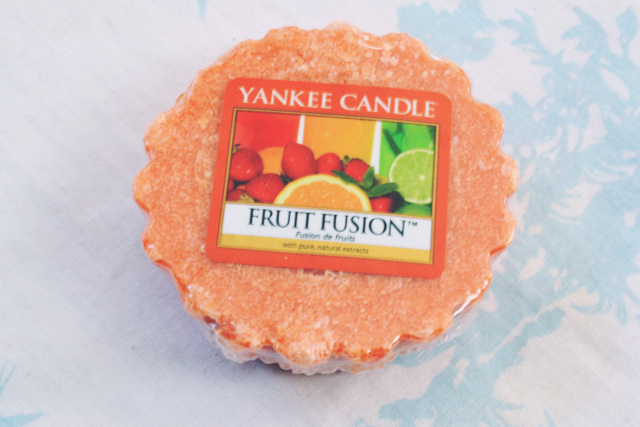 I love the sound of fruit fusion, I think I'll have to look out for that one next! Definitely keep your eyes peeled. It's lovely! Am I your favourite tart? I can't find a wick on the one I have?? ?